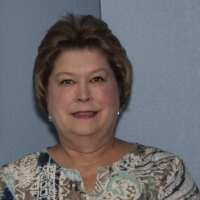 Liz comes to Southpark as a retiree from the Department of Mental Health and Substance Abuse Services where she served as Director of Program Evaluation for the Children’s Recovery Center. She brings a background in telecommunication and computer networks balanced by risk management and quality improvement. Liz has been married to Dan since 1985. They have three adult children- Jeremiah, Mary and Catherine. The Melton Family have been members of Southpark for nearly 20 years.